Conservationists who want the government to take action on climate change by protecting B.C. 's old-growth forests say they've measured a near-record-size red cedar. Conservationists who want the government to take action on climate change by protecting B.C. 's old-growth forests say they've measured a near-record-sized red cedar in Vancouver Island's central Walbran Valley. 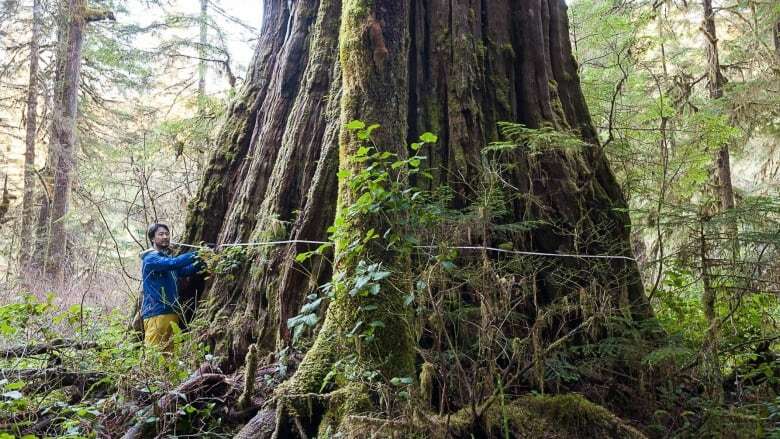 The Ancient Forest Alliance said the tree that it calls the Tolkien Giant is the ninth-widest western red cedar in the province, according to a list compiled by the University of B.C. 's forestry faculty. forest reserve around the Tolkien. "Outside the central Walbran, the rest of the upper Walbran is tattered like Swiss cheese. So it means that the little remnants of old-growth are surrounded by clearcuts. "The issue is large-scale industrial logging throughout the central Walbran valley and for this particular tree, they've already cut the other side of the river so they want to ring this area with clearcuts." Where is the Walbran Valley? He said that when massive trees are logged they stop absorbing huge amounts of carbon and the province's current measures to protect old-growth forests don't go far enough. 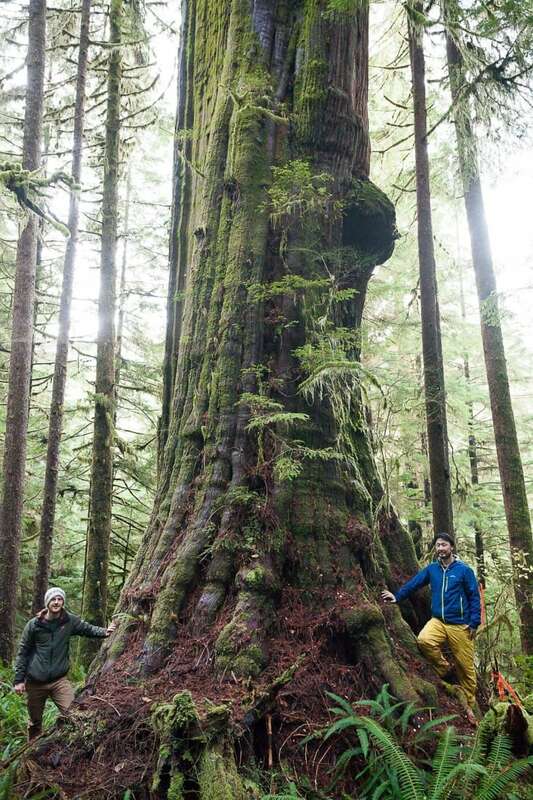 Ancient Forest Alliance's TJ Watt and Ken Wu stand at the base of the 'Tolkien Giant' in the Central Walbran Valley on Vancouver Island, B.C., in this recent handout photo. (Ancient Forest Alliance, TJ Watt/The Canadian Press)The Ministry of Forests said 25-million hectares of forests in the province are old-growth and that 4.5 million are protected. Wilderness Committee spokesman Joe Foy said lawyers have negotiated a court agreement with the Teal Jones Group that allows its members to witness the forestry company's logging activities in the central Walbran.